There’s no point disputing Stephen King’s status as the most influential voice in horror fiction. One of the most prolific and successful authors of all-time, King has published more than fifty novels and, although he always seems to return to his horror roots, he has worked in many other genres including fantasy, drama and science fiction. King’s first book, Carrie, was adapted into a critically acclaimed movie in 1976, just two years after its publication in 1974. In the years since Carrie’s release, Hollywood has kept a keen eye on King’s ever­-expanding body of work and some of his novels have attracted the most talented screenwriters and directors from the movie industry. 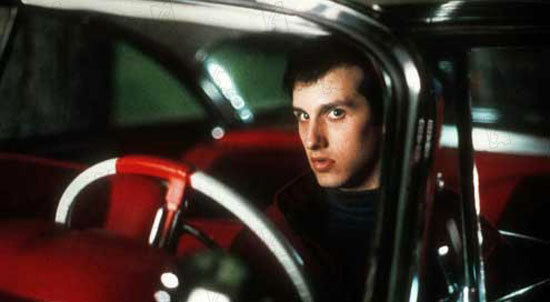 Christine was one of King’s earliest movie adaptations. Director John Carpenter had the horror credentials required to make this movie about a supernatural car which has a mind of its own and brings a corrupting influence to its teenage owner. The result is a fun and confidently made pulp horror movie which does justice to the source material. One of King’s most underrated adaptations, The Dead Zone is a smart thriller directed by fellow master of horror David Cronenberg. 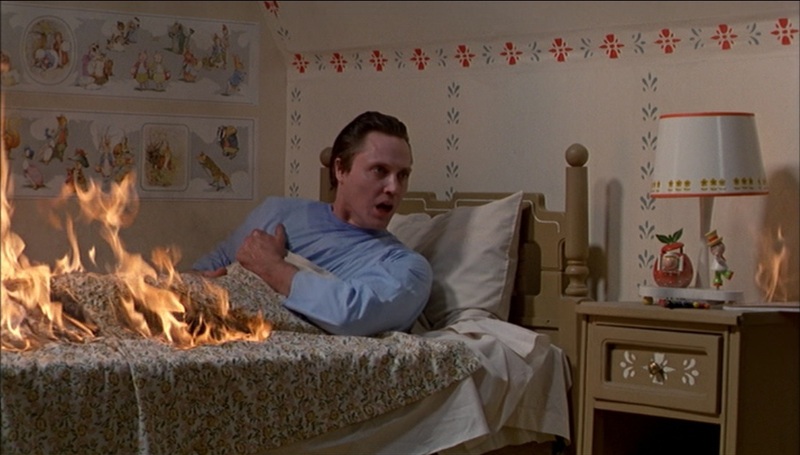 King ventured into sci­fi territory with this story of young school teacher Johnny Smith (played by Christopher Walken) who wakes up from a five year coma to discover he can see a person’s past and future simply by touching them. With this power he finds out that a rising US politician will one day bring about a world war which will lead to a nuclear holocaust. Cronenberg plays up the nuclear paranoia of the 1980s to excellent effect and he uses the sci-­fi premise to explore an interesting moral quandary ­should Johnny kill the politician, even though he hasn’t done anything yet? The Dead Zone is a creepy, gripping psychological thriller which wisely uses the core elements of the book to keep a swift, tense pace. Maximum Overdrive is by no means the best adaptation of King’s work (in fact it’s probably one of the worst) but it deserves special mention because it was written and directed by the man himself. The movie is an unbelievably camp mess, which is unsurprising given the source material. Loosely based on his short story ‘Trucks’, Maximum Overdrive follows a small group of people who are being terrorised by deadly inanimate objects which have suddenly come to life. The movie has it’s share of over the top moments (one of the most memorable scene shows a child gets run over by a runaway steam roller) and a soundtrack by AC/DC, but the whole thing is mostly a dud. In fact, it seems like King himself couldn’t be bothered finishing the movie as he relies on a title card to explain the ending. Many of King’s stories have a sweeping, ambitious scope, but sometimes he’s at his most effective when he confines his characters and lets the dark side of human nature rear its ugly head. 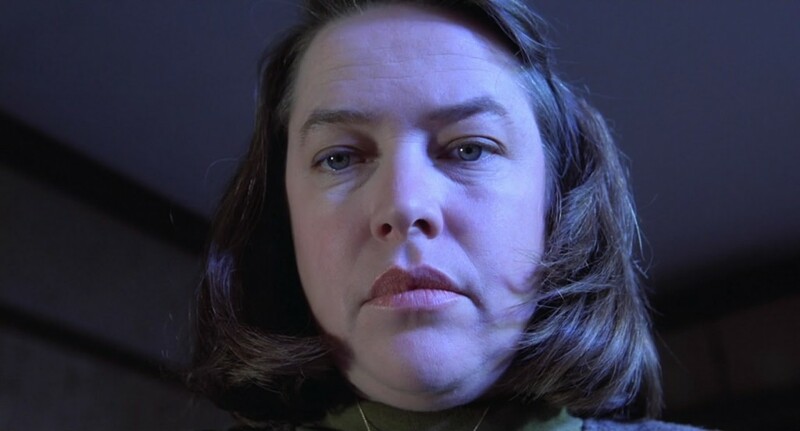 In Misery, Kathy Bates turns in a memorable, disturbing performance as an obsessed fan who ‘looks after’ her favourite author (played by James Caan) when she rescues him from a car crash. 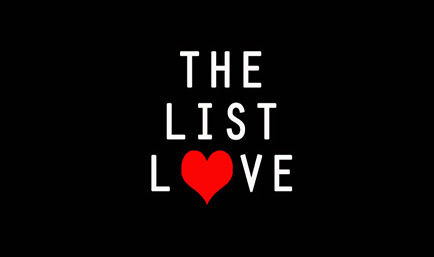 Director Rob Reiner downplayed some of the gorier, excessive parts of the novel to surprisingly chilling effect and managed to create one of the most unforgettably tense psychological horror movies ever made. Frank Darabont’s adaptation of King’s novella ‘Rita Hayworth and Shawshank Redemption’ is a poignant and uplifting tale of friendship and hope. The definitive prison drama follows a wrongly convicted man and his group of fellow inmates as they face the grim prospect of spending life behind bars, and Darabont proved with his first adaptation of King’s work that he was a filmmaker who truly understood the author. The prison drama is brought to life with deliberately old­fashioned, classic filmmaking and, despite being gritty and upsetting at times, the story is ultimately a timeless tale of hope and the human spirit. Another adaptation from Frank Darabont, The Green Mile was a serialised story told by King in six short paperbacks which were published monthly. Like many of King’s stories, The Green Mile grounds the supernatural in a realistic setting. 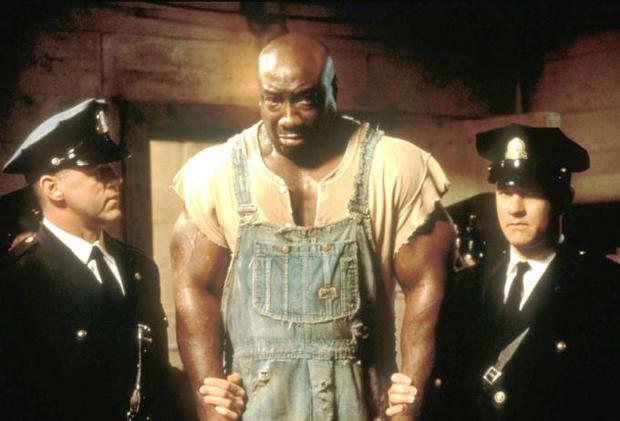 Set in a Southern prison during the 1930s, The Green Mile tells the story of John Coffey? a huge, hulking black prisoner who has been wrongly convicted of a violent crime. Coffey is able to cure people by touching them and he has an unforgettable impact on his fellow prisoners as well as the guards during his time spent on death row. 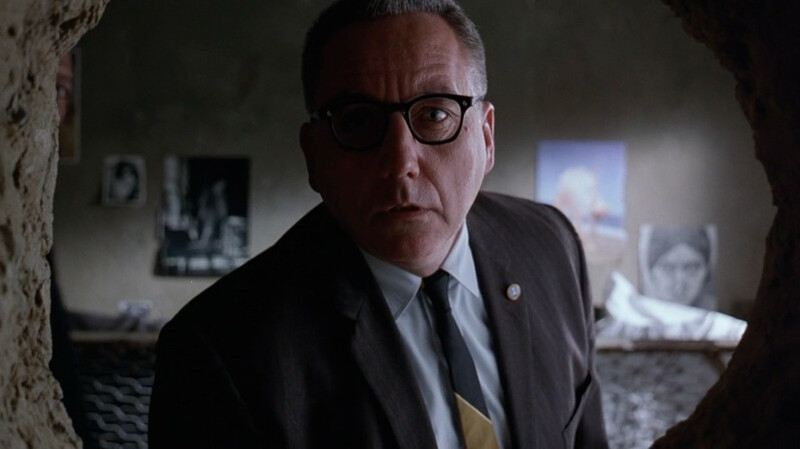 The Green Mile is a touching movie which isn’t apprehensive in playing up its spiritual imagery and Christ­-like allegory. Like most of Darabont’s adaptations, it is a reverential and studious take on King’s work. 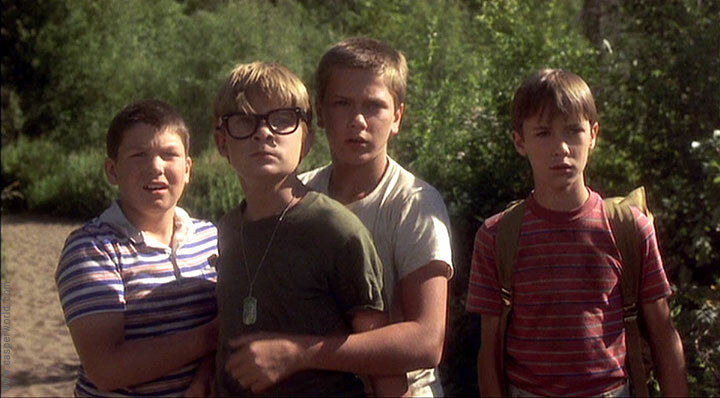 Arguably one of the finest coming of age stories ever told, Stand By Me proves King’s diversity as a writer. Both the original novella (‘The Body’) and the adaptation perfectly capture the joy and nostalgia of childhood as four young friends set out an adventure to discover a missing body in the woods. Although it sounds like the premise to one of King’s much darker stories, Stand By me is a bittersweet, funny and very touching movie. King’s dialogue is perfectly brought to life (the screenplay, which was nominated for an Academy Award, lifts whole conversations from the novella) and the four child actors carry the movie as they go an unforgettable journey one hazy summer afternoon. 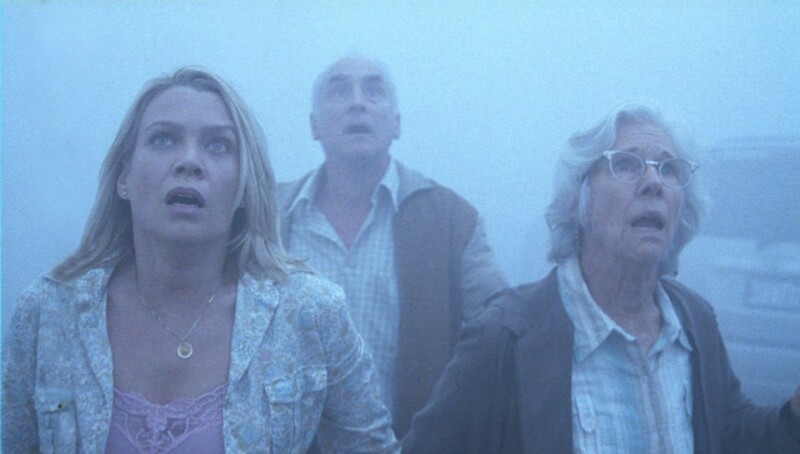 The Mist’s seemingly standard horror premise is elevated to levels of greatness thanks again to writer/director Frank Darabont. Following a group of people who have taken refuge in a convenience store when a strange mist descends on the small town, The Mist gleefully flicks between B-­movie creature feature and paranoid character study. Whenever the group are forced into venturing outside, the characters (and the audience) are taunted by fleeting shadows and strange noises of whatever it is that is lurking in the ominous mist. However, the characters don’t fare much better in their supposed refuge as the group becomes increasingly divided thanks to the religious preaching of the zealous Mrs. Carmody. Darabont’s adaptation gave the creatures a much more explicit origin and he also famously changed the ending of the novella to make it much darker and less open­ended than King’s original story. Whether this is was for the better is up for debate, but there’s denying that Darabont perfectly captures the foreboding, white­knuckle tension of the source material. 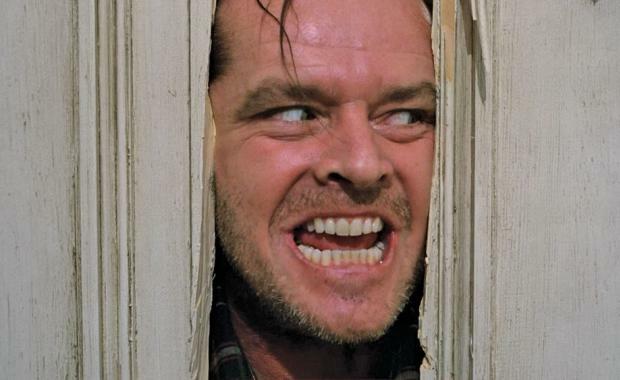 Although it is widely considered to be one of the scariest movies ever made, Stanley Kubrick’s adaptation of The Shining is a point of contention for many Stephen King fans. King was famously (and vocally) nonplussed by the director’s take on the source material and he felt that Kubrick just didn’t get the book. Kubrick ignores many of the supernatural beats of the novel and instead chooses to focus primarily on the breakdown of the Torrance family. King helped to adapt the novel himself for a 1997 TV mini series but despite the differences between the book and the movie, Kubrick’s version is still the definitive take on the source material. Kubrick’s technical prowess perfectly captures the unease and cabin fever feeling of the snowed-­in Overlook Hotel and the movie’s trademark tracking shocks help create the feeling of a haunted house which is unrivalled by any other movie. By using the book’s supernatural elements much more sparingly, Kubrick creates a much more menacing and real human threat in the character of Jack Torrance (memorably played by Jack Nicholson), and scenes involving ghostly apparitions and strange visions are all the more creepy and disturbing because of it. Carrie set the standard for all future Stephen King movie adaptations. Brian De Palma’s visual flair is on full display as he takes on this story about an outcast schoolgirl who is cursed/gifted with telekinetic powers. 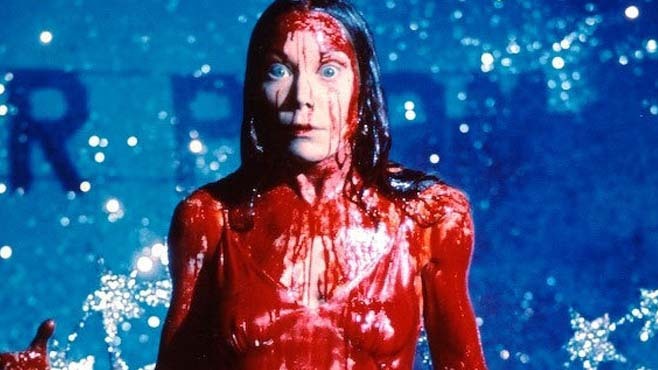 The entire movie is a tense, slow build to the cataclysmic prom night finale when Carrie is showed up in front of the entire school by the infamous ‘pig blood’ prank and she unleashes her powers. De Palma uses the opportunity to show­-off his bag of tricks as he brings the devastation and massacre of the school gymnasium to life with quick cuts, split­-screen shots and screeching soundtrack cues. Although it’s at times unconventional (the movie bounces between horror, comedy and drama and spends as much time on it’s supporting characters as it does on Carrie), Carrie is a horror classic which never strays far from its source material.